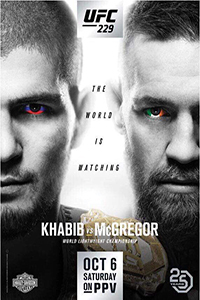 The UFC 229 main event is one of the biggest fights in MMA history, as McGregor is one of the sport's biggest stars, while Nurmagomedov is a perfect 26-0 in MMA, including 10-0 in the UFC. In his last fight, Nurmagomedov beat Al Iaquinta to win the vacant title. 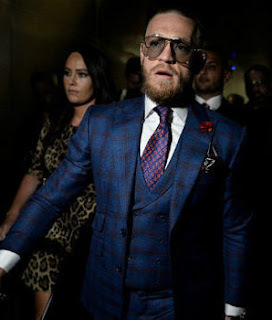 McGregor hasn't fought in MMA in over two years, taking time off to start a family and box Floyd Mayweather, but now that he's back, the UFC should reap the benefits of its biggest draw returning to the Octagon. And of course the fans are going to be excited, as McGregor is just brilliant to watch. 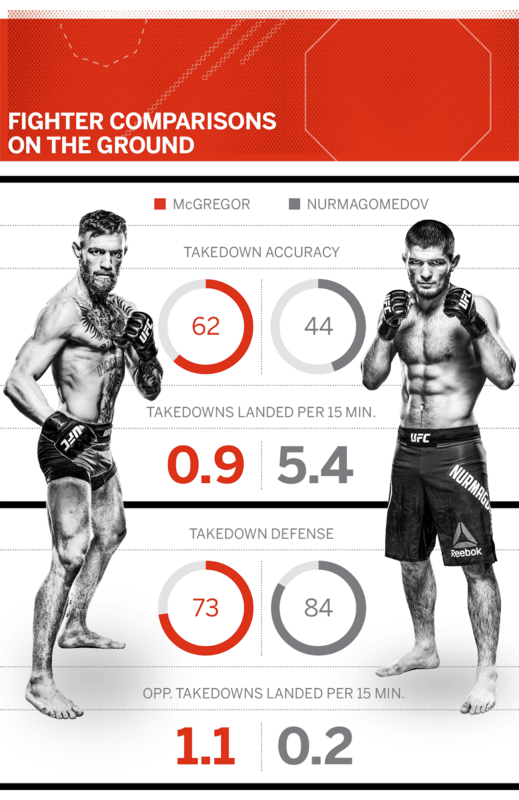 This fight is a true clash of styles, as Nurmagomedov is a pure grappler while McGregor is a pure striker, and that's what makes it intriguing. With the title and a massive payday on the line, you know both guys are going to give it their absolute all. It could be one of the best fights of the year and its inclusion on the card makes UFC 229 an absolute must watch. Former UFC Interim Lightweight Champion Tony Ferguson made a quick recovery from the major knee injury he suffered before UFC 223, and he returns to the Octagon this weekend against former champ Anthony Pettis in the card's co-main event. According to Ferguson, the UFC wrote into his contract that he'll get the next title shot with a win here. Ferguson is on a 10-fight win streak right now, and a win over Pettis would push his overall UFC record to 14-1, a record that's impossible to ignore. Pettis is coming off of a great win over Michael Chiesa, but overall he has really struggled the last few years. This looks like a set-up fight the UFC booked for Ferguson so that he could come back with a bang, and if he wins the fight by stoppage he should definitely be next in line to fight for the belt. 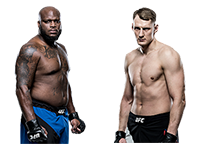 In a main card bout, heavyweight contenders Alexander Volkov and Derrick Lewis meet in a potential title eliminator. Volkov has won six straight fights, including all four of his bouts in the Octagon. In his last fight Volkov picked up the biggest win of his career when he knocked out former champ Fabricio Werdum. Lewis, on the other hand, is coming off of a stinker against Francis Ngannou -- arguably the worst fight of the year -- but the fact that he beat Ngannou was the key for him. The heavyweight division is a bit of a mess right now with champ Daniel Cormier waiting around for Brock Lesnar, but once that gets settled, the winner of Volkov vs. Lewis could very well get the next shot at the belt. 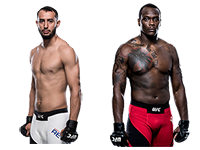 Top light heavyweight prospect Dominick Reyes will get the biggest test of his career to date when he takes on top gatekeeper Ovince Saint-Preux in what could, if he wins, be a breakthrough fight for the youngster. Reyes is a perfect 9-0 as a pro, including a 3-0 record in the UFC with three finishes. OSP is coming off of a submission win over Tyson Pedro, and has won four of his last five fights by stoppage, but we've seen time and time again that he can't win the big one. He's a gatekeeper now, but he's a tough out and the perfect test for someone on the rise like Reyes. The winner of this fight is going to be a borderline top-five fighter in one of the UFC's weakest divisions. Anchoring the preliminary card is an important flyweight bout between Sergio Pettis and Jussier Formiga. With Henry Cejudo recently upsetting Demetrious Johnson to win the title, it's possible the winner of Pettis vs. Formiga could vault himself into title contention with an impressive win. 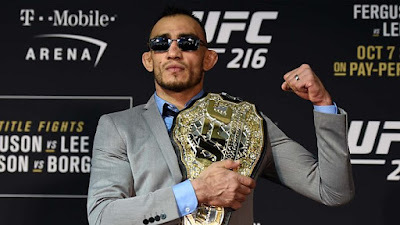 Pettis recently defeated Joseph Benavidez for the biggest victory of his career to date, and another big win over Formiga could force the UFC to give him a rematch with Cejudo. Formiga, meanwhile, has won two straight fights by submission, and another big win could be enough to finally put him over the top and get him into his first title bout in the UFC. This is a big fight at 125 lbs, and the fact it's headlining the televised prelims on FX shows how important the UFC views the fight. UFC 229 is one of the best cards of the year. The main event is what everyone is looking forward to, but you shouldn't ignore the important fights on the undercard when you're watching the event this weekend. UFC 229: Khabib vs. McGregor takes place October 6, 2018 at T-Mobile Arena in Las Vegas, Nevada.